In the 20th century it became more acceptable for girls to exercise and participate in sports. 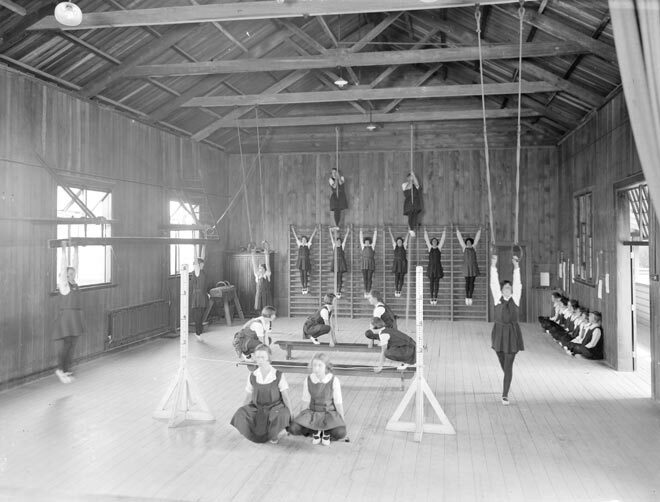 Nelson College for Girls acquired its own gymnasium in the early 1900s. Students, dressed in 'gym tunics' (which later became the uniform at many girls' schools), showed their skills in this posed photograph.